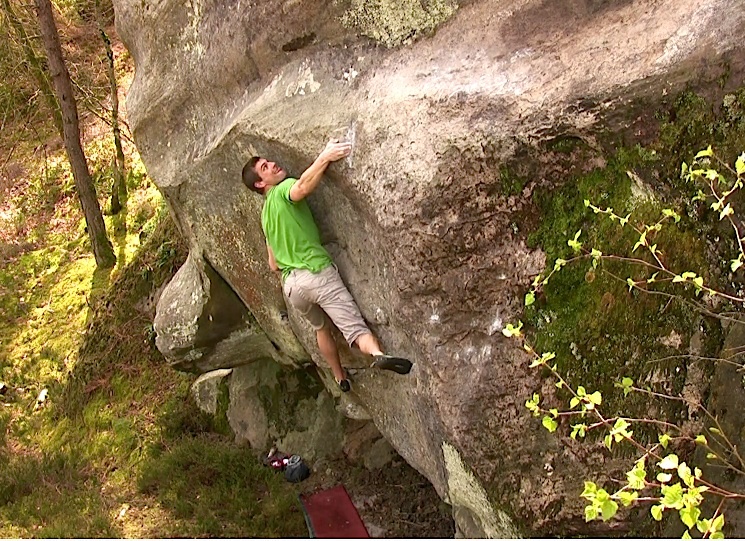 High wall on the boulder of Mousse Galopante, 40m to the right of Les Fosses de Kellux. Start left and finish on the right on slopers. Starts at 00:00 and 01:34.